Granite is one of the most durable stones. 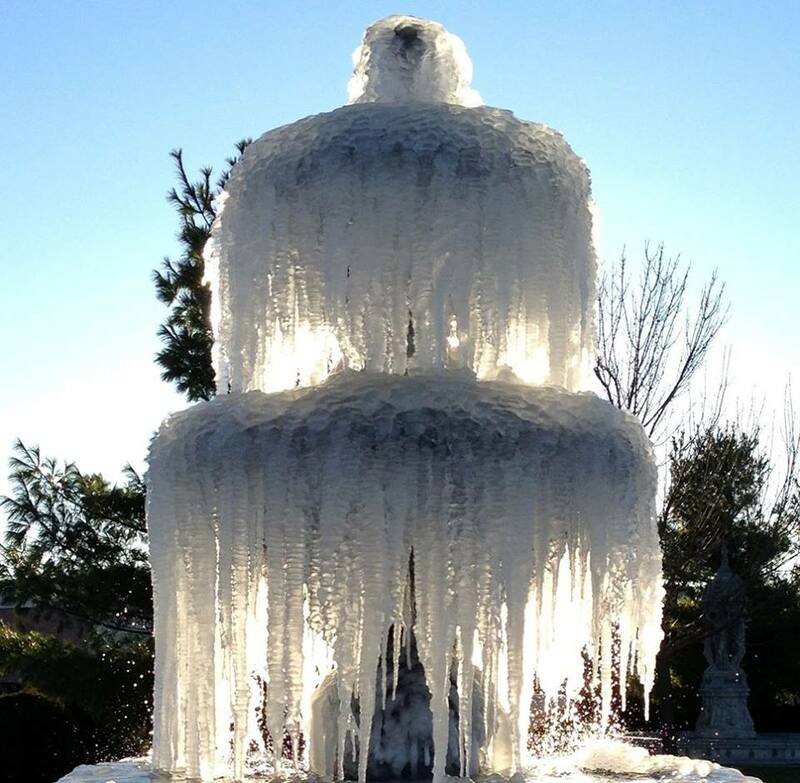 Warm or cold, granite fountains will not crack like many limestones, Cantera, marble or cast stone fountains tend to do during a freeze and thaw cycles. If you live in a warm climate, a major advantage of these fountains is low maintenance. People often use chlorine or bleach to clean their fountains. These chemicals can cause a great deal of damage to fountains made from calcium-based stone types. For example, chlorine has been eat away limestone, which causes fountains to crack and break. These chemicals can’t damage the granite fountains. It’s longlasting, remain functional and appealing to the eye for years. Not only durability there are also more benefits of granite. 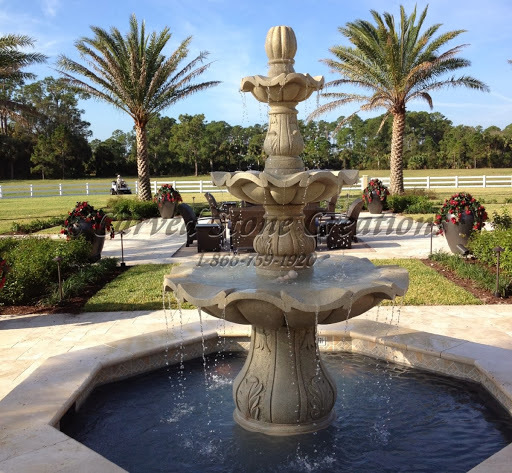 Not only are granite fountains incredibly durable, but they are also very unique. One downfall of cast stone is that they all look similar and don’t have that special quality granite has. Cast stone water fountains are made of concrete poured into a mold. Every inch of granite has different patterns and qualities, which make our granite fountains a piece of art! As you can see in the photos below, both granite fountains are beautiful in their own way. Every piece of granite is one of a kind piece with its many eye-catching colors that shine. 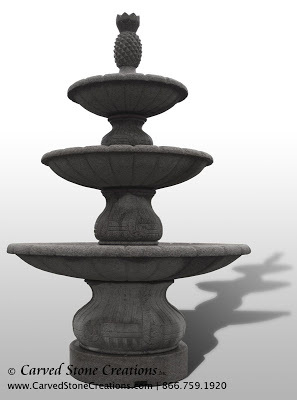 Take this granite twist fountain, for example. It is hand carved stone creation from our earth-tone Giallo Fantasia granite and serves as a beautiful addition to your landscaping. While cast stone fountain colors fade over time, granite never loses its bright coloration and does not deteriorate as quickly. Granite’s beauty is endless! 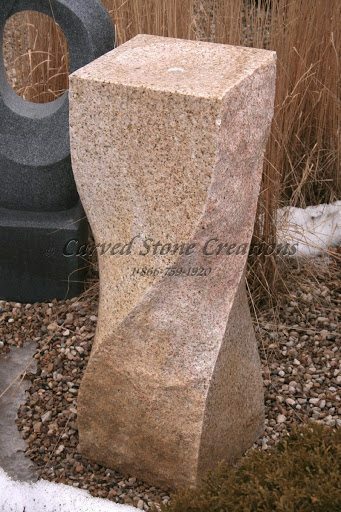 If you are interested in a durable, unique granite fountain just Contact us and make your home more beautiful.